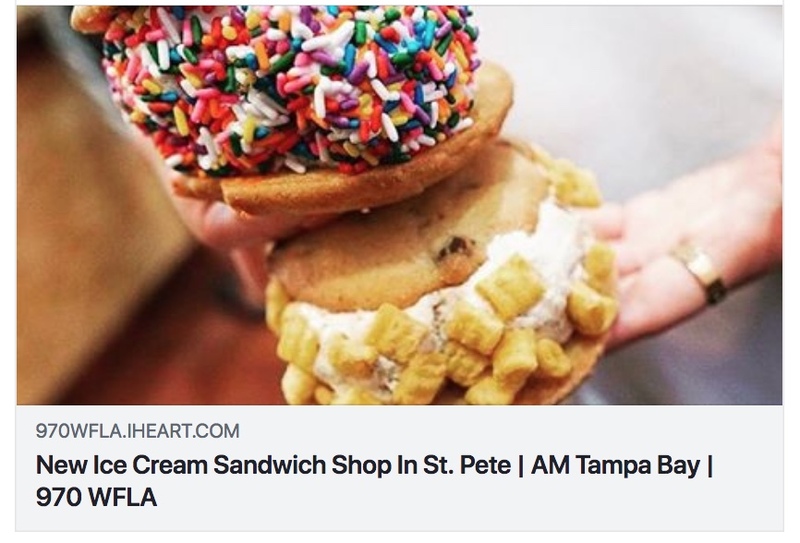 We’re pleased to share that the Tampa Bay Times recently profiled Sweet Stack Shack in their ‘Restaurant Openings’ section. 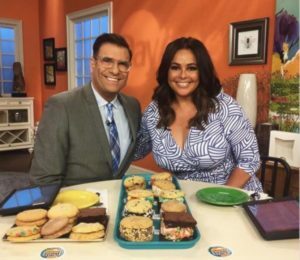 Tampa Bay Times food critic Laura Reiley also joined Newsradio 970 WFLA to ‘dish’ on our sweet offerings! Listen to the podcast here from WFLA. What’s better than ice cream? Coming up blank, right? Okay, what’s better than cookies? Here’s the answer: ice cream with cookies. On Sept. 12, grad school friends Clayton Jones and Shane Kent debuted the first of its kind in St. Petersburg. 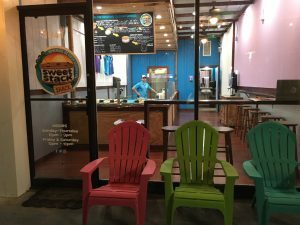 Sweet Stack Shack opened at 1041 Central Ave. in the space that used to be Escape St. Pete. It’s an artisanal ice cream sandwich parlor. First you choose your cookies (oatmeal raisin, snickerdoodle, you name it) or brownies. Then pick an ice cream (cookies and cream, espresso chip, etc., all courtesy of local Working Cow) and toppings (peanuts, Heath bars, sprinkles). Then they will griddle the cookies so they are warm and pliable. You can order everything a la carte if you want to keep things separate. Noon to 9 p.m. Sunday to Thursday, until 10 p.m. Friday and Saturday. They cater locally and you can place orders online. (727) 685-5000. sweetstackshack.com. Sweet Stack Shack is officially open!